Qualcomm is about to launch their new flagship SoC at CES 2017, and it's set to bring many improvements to high-end smartphones this year. The Snapdragon 835 is the company's first 10nm SoC built on Samsung's FinFET process – in fact it's one of the first 10nm chips of its kind on the market, beating traditional leader Intel to the punch – and this helps the chip achieve new levels of performance and efficiency. The new Snapdragon 835 is 30 percent smaller than the Snapdragon 820, and packs up to 27 percent better performance with up to 40 percent less power consumption than "the previous generation." This is a key improvement that should help this year's smartphones achieve better battery life, and with Quick Charge 4.0, we'll also see faster charging that will allow users to gain "five hours of battery life" from five minutes of charging according to Qualcomm's own metrics. On the CPU side, we're seeing eight of Qualcomm's new Kryo 280 cores: four configured for performance at 2.45 GHz with 2MB of L2 cache, and four configured for efficiency at 1.9 GHz with 1MB of L2 cache. Qualcomm claims this new Kryo architecture is their most efficient yet, while providing up to 20 percent better performance in some workloads. In general usage, Qualcomm expects the efficient cluster will be used around 80 percent of the time. The GPU has been upgraded to the new Adreno 540, which provides 25 percent better performance than the Adreno 530 in the Snapdragon 820. Qualcomm never goes into a lot of detail on their GPU designs, so we're not sure what clock speeds are utilized here. The Snapdragon 835 now supports 10-bit displays at 4K 60 Hz with wide color gamuts thanks to an improvement to the display processing unit, while the DSP has been upgraded to a Hexagon 690 with improved deep learning support. Some of the Snapdragon 835's improvements are geared towards virtual reality. This SoC supports scene- and object-based audio for a more immersive experience, while motion-to-photon latency has been decreased by 20 percent. Several different areas of the SoC are utilized during VR to ensure the best spread and utilization of the chip's resources. On the image processing front, the Snapdragon 835's Spectra 180 ISP is used in conjunction with the DSP and GPU to run a selection of new, highly optimized algorithms designed to improve image and video quality. One of these algorithms provides a smoother zooming experience, while another, EIS 3.0, greatly improves electronic 4K video stabilization. There's also now support for dual-pixel autofocus solutions, like those found in the Galaxy S7, and better hybrid auto-focus in general. Qualcomm Clear Sight improves the SoC's ability to stitch together images for increased quality as well. It wouldn't be a new flagship SoC without a new flagship modem. The Snapdragon 835 includes a new X16 LTE modem with support for Cat 16 (1 Gbps downstream) and Cat 13 (150 Mbps upstream) LTE, including 256-QAM, 4x4 MIMO and 4x CA. Thanks to the Snapdragon 835's 10nm process, the modem is 45 percent smaller and achieves 60 better power efficiency. 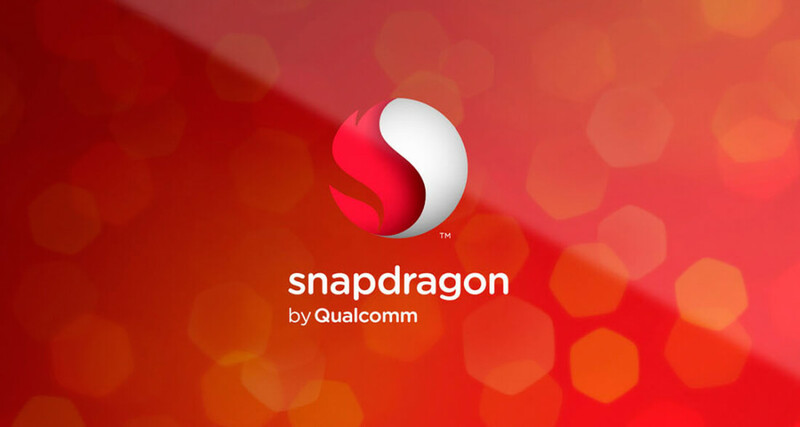 The first devices set to use the Snapdragon 835 will be released in the first half of 2017. You'd expect that most flagship phone launches during this period will be for Snapdragon 835 devices, and this high-end chip will take Qualcomm through most of the year. Rumors also abound about convertible tablets, like the upcoming Surface Pro 5, using the new Qualcomm chip and of smartphones getting Continuum-like features, letting you hook up your smartphone to a keyboard/mouse + display for a desktop-like PC experience powered by your handheld device.